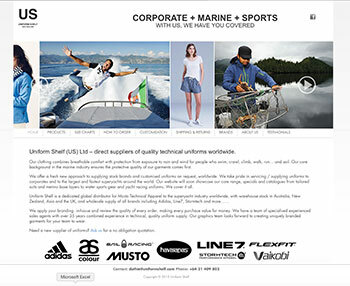 Uniform Shelf (US) provides high quality technical garments worldwide. Their customisable clothing combines breathable comfort with protection from exposure to rain and wind for people who swim, crawl, climb, walk, run... and sail. They offer the best brands available on the market.